Sponsorship / Charity – Blog by Esther Neela M.
I am a World Vision Sponsor! I am a World Vision Sponsor for a Nepal Child. I used to support World Vision Project in Lesotho many years ago until the project was completed. Now, I am supporting their Nepal Project. 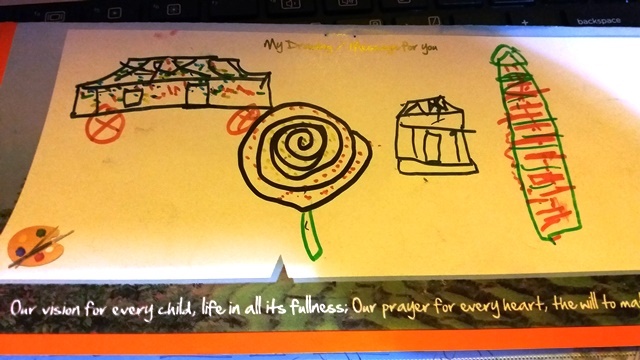 Below is the first letter from the Sponsored Child Community and the Child’s drawing. 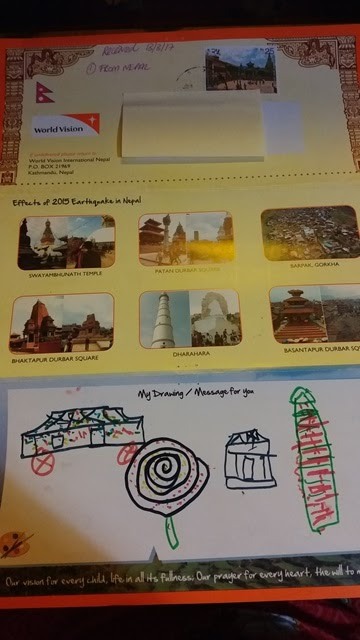 Happy to make a small difference to a community project in Nepal while I am living in Singapore. Author Esther Neela M.Posted on March 16, 2017 December 30, 2017 Categories Sponsorship / CharityTags Child Sponsorship, World VisionLeave a comment on I am a World Vision Sponsor!